Teacher Bits and Bobs: WInter Games and Long TIme, No Blog!! YUP! 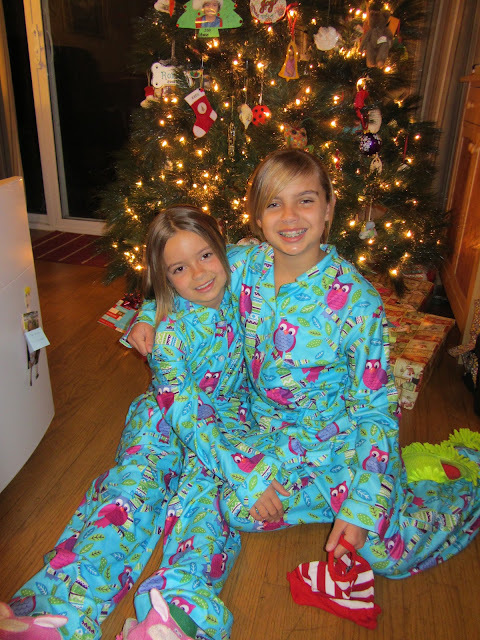 Still making my girls wear matching PJ's...of course OWLS! I'm gonna keep it short cause A...It's 11:45 and B...I am TIRED! I am super excited cause tomorrow I get to meet up with the blogging girls from Little Miss Kindergarten, the Moffatt Girls, Kristin from A Teeny Tiny Teacher and a bunch others. Wheee! I can't wait! 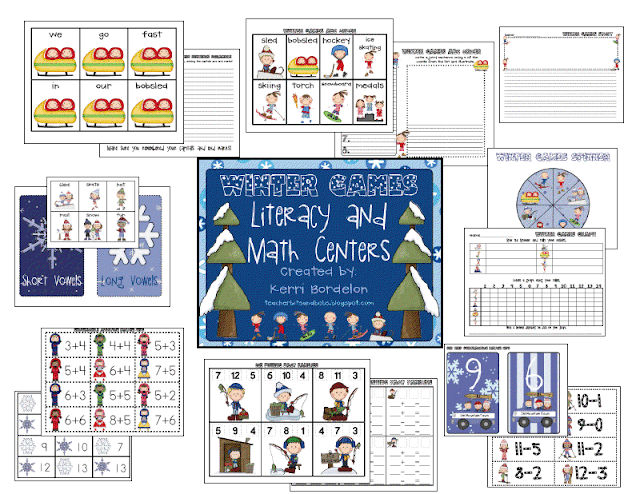 Before I sign out, I wanted to let you know that I just posted my newest unit on TPT-Winter Games Math and Literacy Centers...Check it out! I'm so excited about this one!! Being from Southern Cali, we have ABSOLUTELY NO WINTER GAMES, unless we drive 2 hours to the mountains OR watch the X Games in TV. My dad grew up in Canada and has all kinds of hockey, ice skating, snowball throwing stories. JEALOUS! I hope these centers will help my firsties experience the Winter Games, such as bobsledding, ice skating, skiing, ice fishing (reminds me of Grumpy Old Men), and lots more! You can pick yours up, ON SALE for only $5 until January 1st, at my TPT store!! Click on either picture above to go right on over! PLUS, my Winter Words Writing Pack is also on sale until the 1st! Thanks so much friends!! Those pajamas are so cute! I will be making my girls do the same thing too :) hehe we're so cruel, aren't we?? 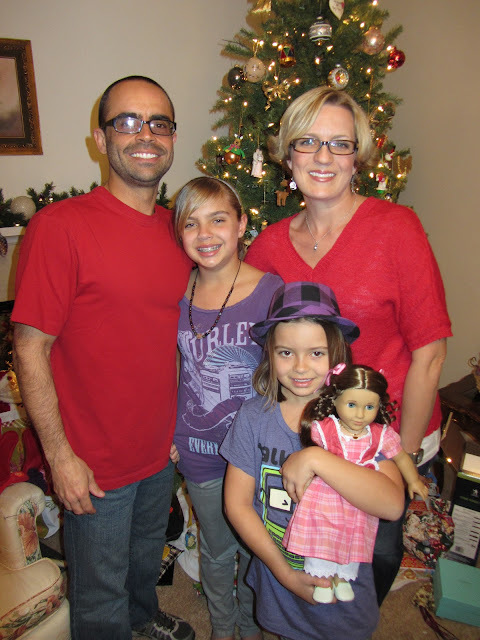 Love your pictures...such a sweet family! Your winter games pack looks fab! Your winter unit looks adorable! I can't wait to hear about your meet-up!!!! I live in Canada and we don't get much snow either -- ha ha! But yeah, I've still got all those great snow experiences your dad is talking about....like getting my tongue stuck on a frozen metal pole when I was five and living in Edmonton. Now that hurt!! Or watching hares bound across the snowy field. Love your pictures--very pretty girls! 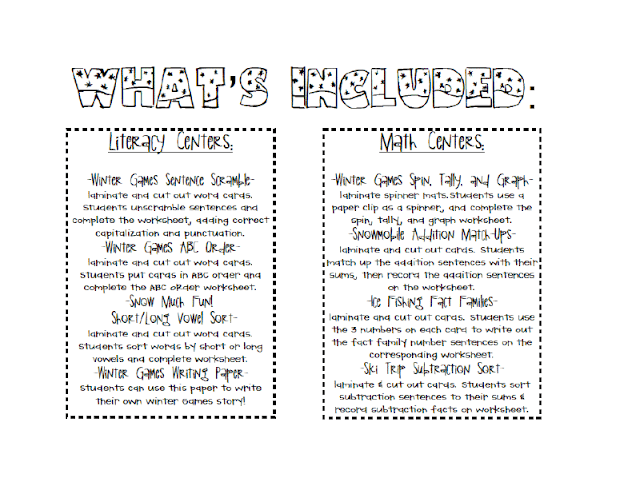 I know I will LOVE your Winter Games unit and can't wait to use it with my California kiddos! Love your girls in their pajamas! My daughter and I wore those same pajamas on Polar Express Day! Have fun at your meet up......so jealous! I just found your blog! Looks like you girls had a lot of fun together! I totally wish I was there.